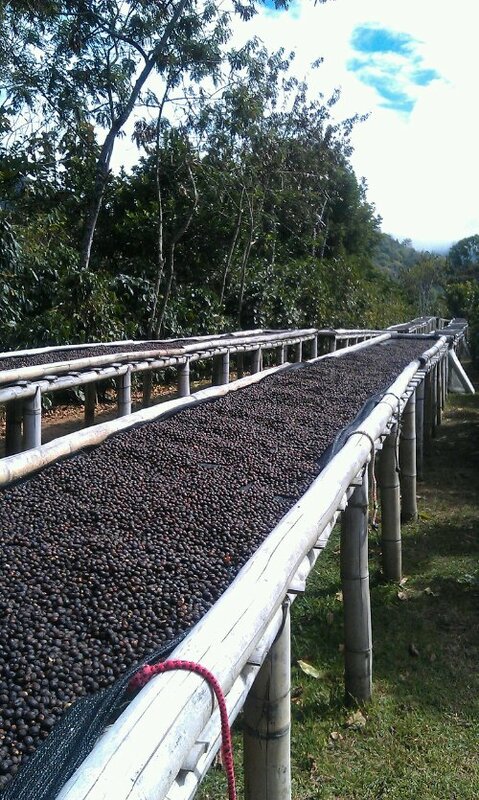 Boquete is the main region for coffee growing in Panama & was therefore one of the definite to dos on our list. 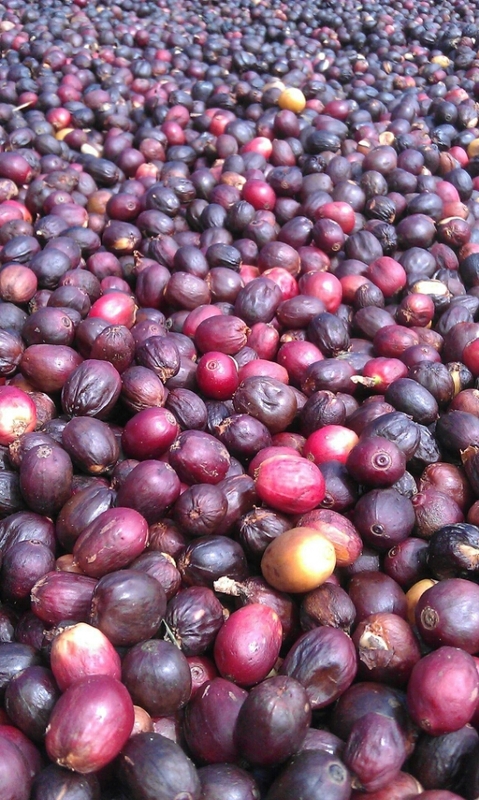 In fact coffee is only grown in a narrow belt 20o above & below the equator world wide. It needs perfect conditions to grow. Like much farming worldwide, it is only the top of the chain that sees profit; and farmers across Panama are going out of business. 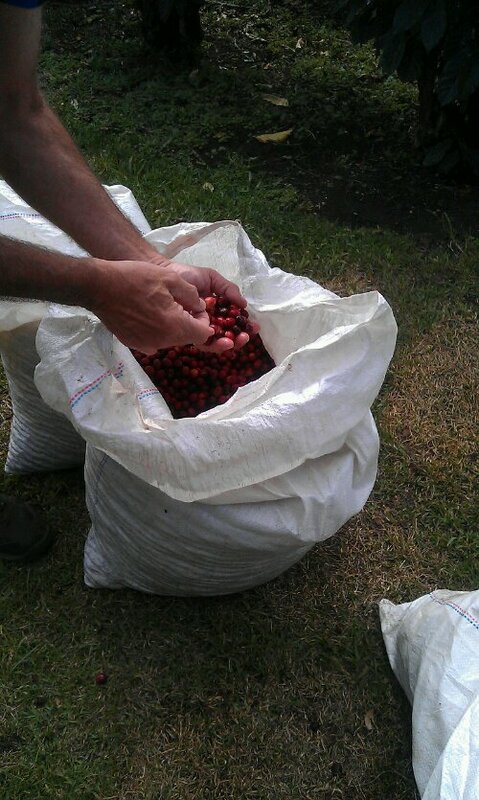 Farms do not make much profit on beans & therefore pickers only get paid $2 a bag they pick. The most a person can pick in one day is five bags. 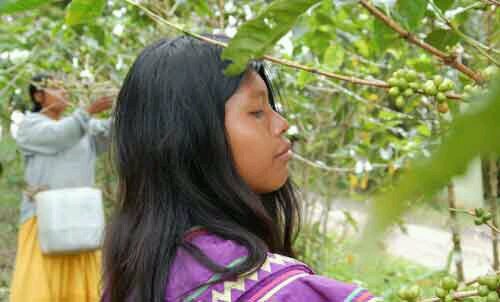 Unfortunately it is usually the indigenous people who work as pickers as they cannot get employment elsewhere. Here in Boquete it is the Ngobe Bugle people. 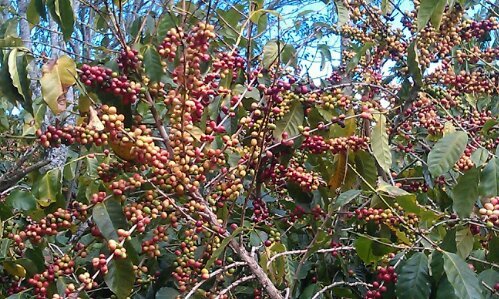 Coffee bushes take 5yrs before they fruit & are most productive up to 25yrs. The fruit is called a cherry & best picked when bright red. 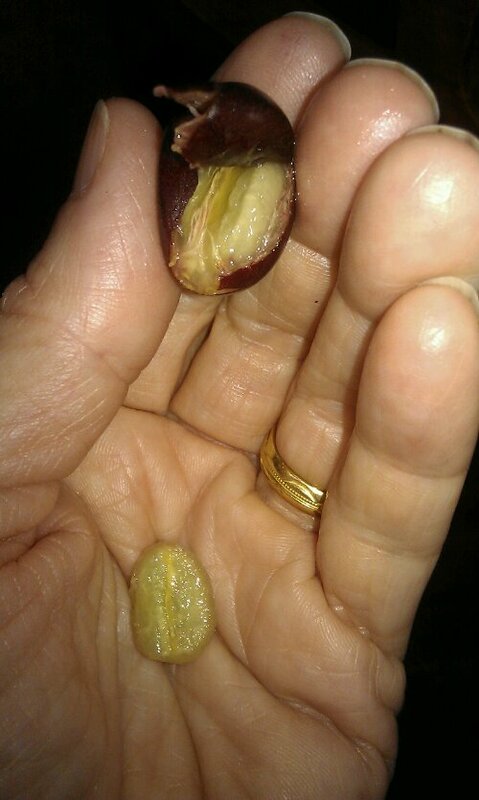 It tastes sweet like pomegranate & the bean is protected by pith. 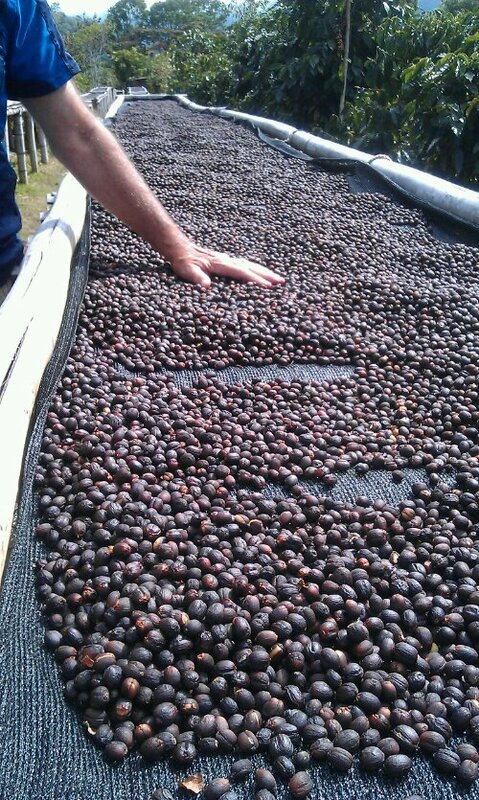 In commercial farms across the world they use a washing process to separate the fruit from the bean, but on the small farm we visited, they use the traditional & environmentally friendly process of air drying. 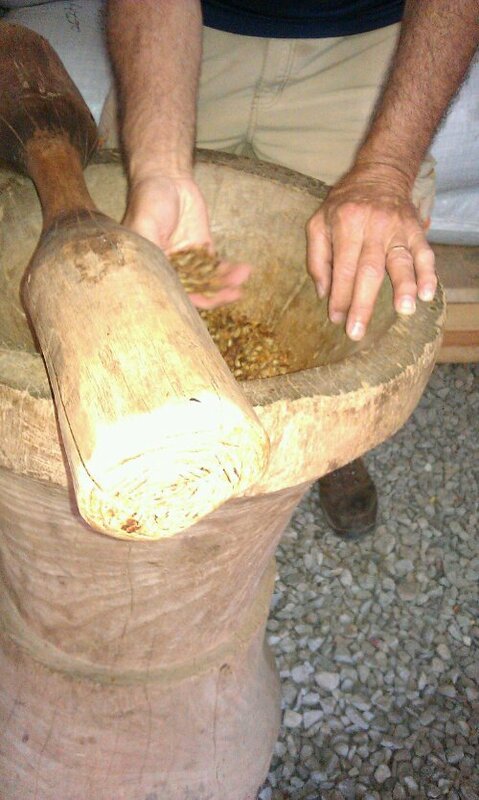 Once dry the dried fruit is removed from the bean. Usually this is done off site, but we saw the traditional method on our visit which is like a huge pestle & mortar. The beans are then ready for roasting which is a highly scientific process depending on whether light, medium or dark roast. 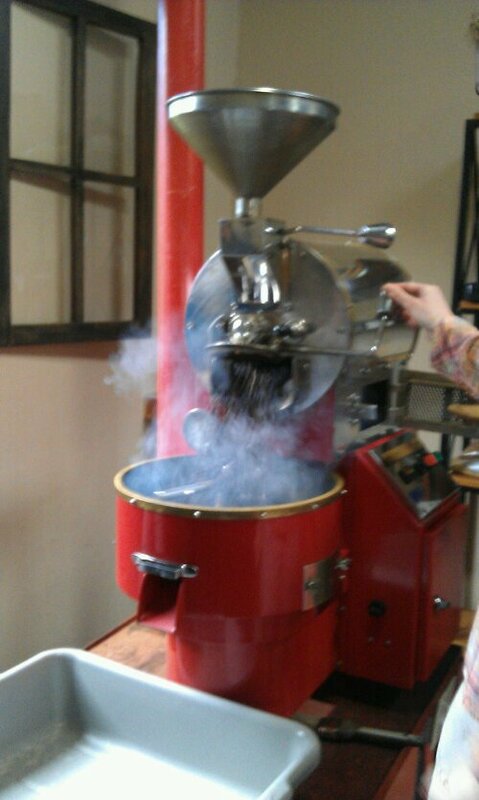 The same type bean can be roasted in different ways & each cup will taste distinct. 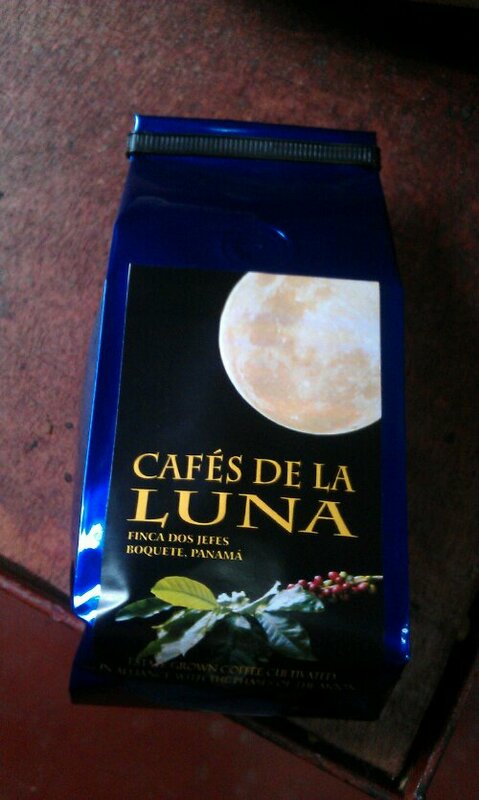 The coffee is then cooled & packed ready for the shops. Apologies for missing photos on previous blog due to poor WiFi. 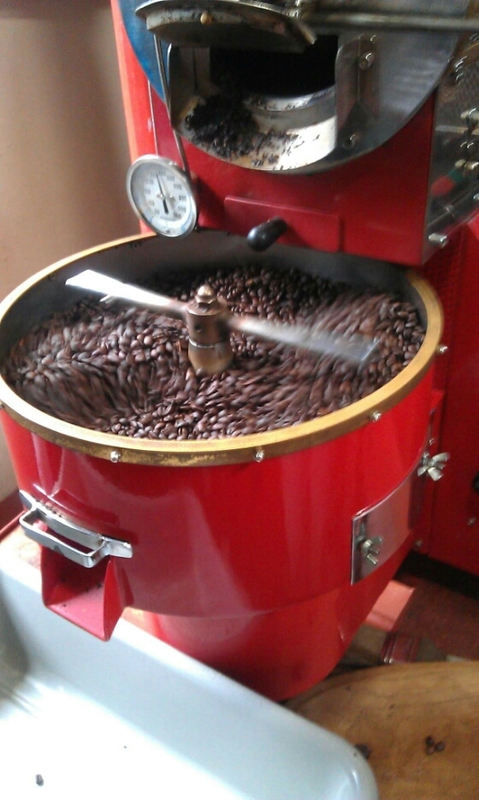 Finca Dos Jefes is run by an American who came here in 1982. He pays his workers $3 a bag & provides them with housing. He has also put two of his adult workers through school & now university as most indigenous people receive low levels of schooling.